Just getting ready to buy a new home or moving in to your brand new place? Decorating is probably on your mind. If you recently sold your home or if you’ve been living in rentals, you’ve probably been bombarded by the idea of keeping everything neutral. But in your new space, you can be as bold as you want to be. And while you may not want to splash apple red paint up on every wall, there are many ways to make an impact with color that don’t go overboard. 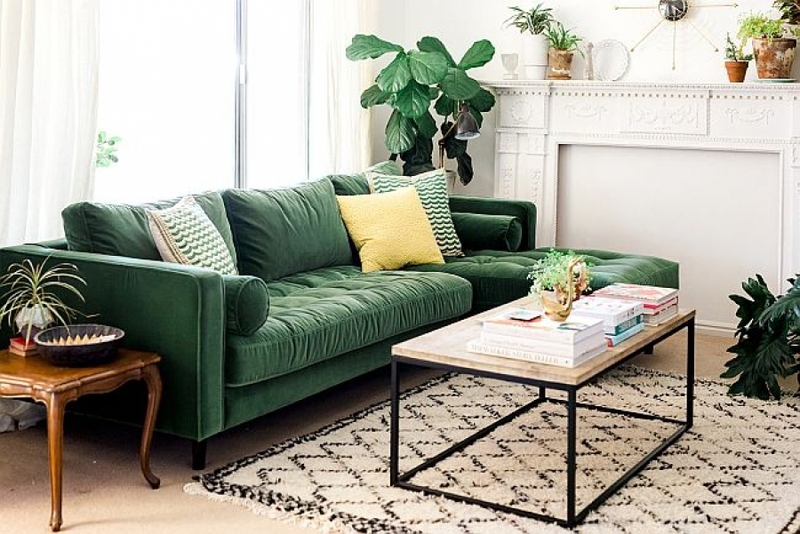 The days of the beige couch may not be entirely over, but bold, deep, and bright colors are showing up in this living room staple more and more often. 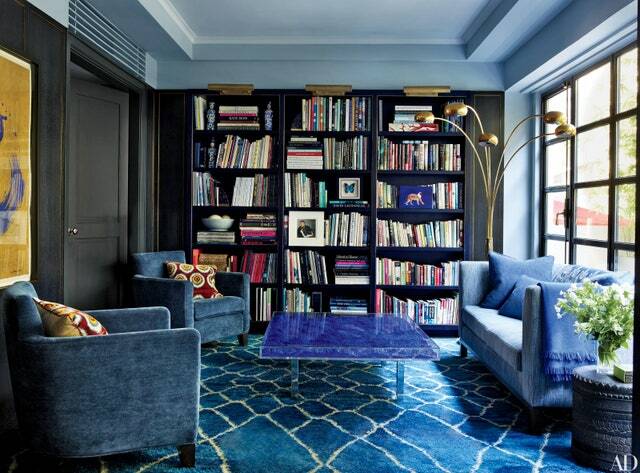 Don’t be afraid to go with the deep blue sofa or the green sectional. You don’t have to create a circus of color around it; you can mellow it out by keeping the rest of the furnishings in your place more neutral. You can see many more colorful options here. 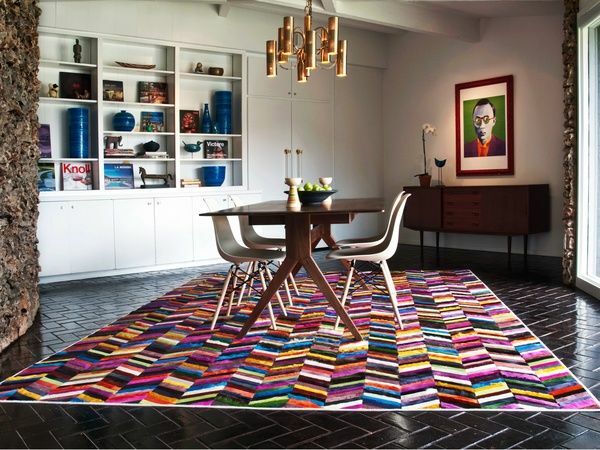 The right rug can set off your furniture and furnishings, can pull a space together, can provide a little contrast, a little color, and just the right amount of “wow” to make a space pop, or it can do all of the above. Like this one. You may not think, “lighting,” when considering color, but maybe you should. Call it a pendulum swing in the other direction from all the white cabinets we’ve seen over the last several years, but painted kitchen cabinets in surprising colors have been popping up in droves. If you’re wary of going so bold on all of your cabinets, focusing on the island is a good way to dip a toe. Two-tone paint is another hot trend for the kitchen, and if/when you get tired of it, you can always paint it to match the rest of the space. You can give the fifth wall some attention by painting it the same color as the walls, a complementary or contrasting color, or, gild it for a luxe look. Forget that whole “go bold in one spot” thing. Why not just go for it completely? You’ll definitely never get sick of this eclectic space.